The toolkit release by Microsoft “CrmDeveloperToolsVS12_Installer.msi” is not working on the machine where I have VS 2013 installed on Windows 8.1. We are getting error message when I tried to install the file. But after that I tried to install the same on Windows 7 Enterprises 6.1 with VS 2012 Premium Version 11.0.50727.1. Everything went fine. 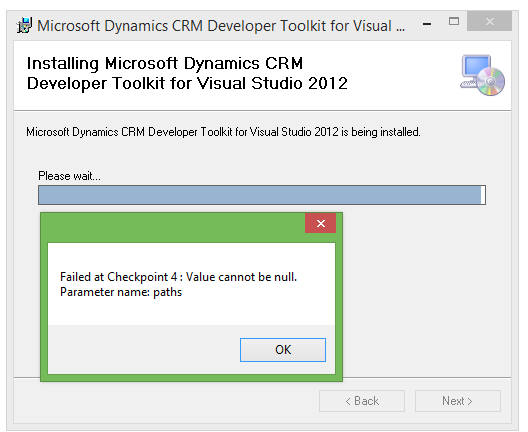 I am able to get the Dynamics CRM node in my New Project window.